Congress passed a spending bill, but at what cost? Government shutdown has been averted... for now. The Senate voted Sunday 56-40 to approve the continuing resolution to fund the government after previously supporting a motion to extend the funding deadline through Wednesday. The $1.1 trillion spending bill originated in the House of Representatives late last week. House Democrats were being pushed by President Obama to pass the spending bill, known as the Cromnibus bill, while House Republicans were under similar pressure from their leadership, including House Speaker John Boehner. 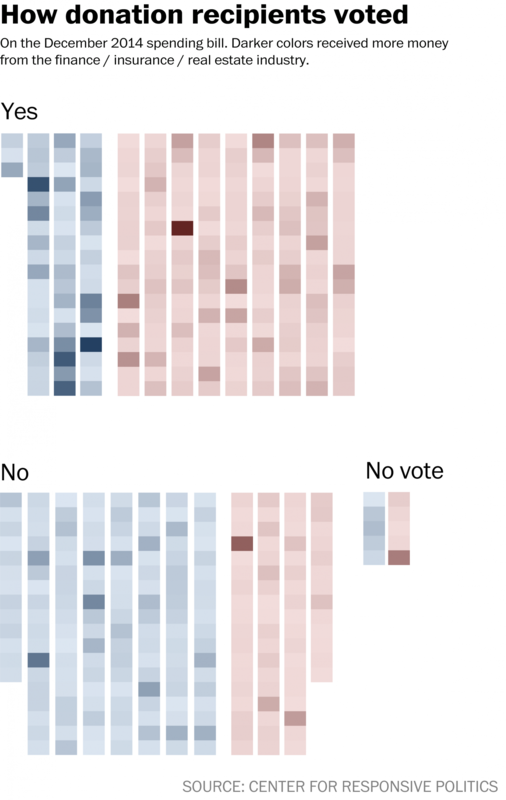 If you're thinking that we've reached some sort of bipartisan consensus for the good of the nation, think again. Perhaps more notably than the passage of the spending bill itself were the riders attached to the bill that rolled back many of the financial industry regulations put in place in the wake of the 2008 banking crisis. Surely you remember the collapse of the finance industry that left millions of people homeless and forced the federal government to bail out multinational banks that had been declared "too big to fail"? It passed the House because 57 Democrats joined the Republican majority to vote in favor of the bill. According to a report by the Washington Post, which cross referenced how members of the House voted on the spending bill with political contributions from the finance industry, Democrats who voted in favor of the bill received, on average, twice as much money from the finance industry as those who voted against it. 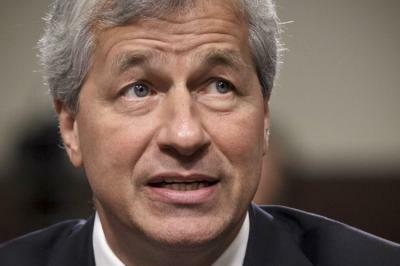 That fact was surely not lost on JPMorgan Chase CEO Jamie Dimon, who, along with the president, whipped votes in favor of the bill. Dimon has been a close ally of, and top contributor to, President Obama, as well as George W. Bush and Bill Clinton before him. JPMorgan Chase absorbed Washington Mutual, which was once the sixth largest bank in the United States, at the request of the Obama Administration. In return, it received the bulk of the so-called bailout. Washington Mutual had been mired in, and eventually collapsed under the weight of, subprime mortgages. It's also of significant note that as Dimon and Obama reminded legislators who they worked for, the Dow Jones Industrial Index closed at its lowest value in three years, perhaps under the assumption that the bill would not receive enough votes to pass the House. But it did. I'm no banker, but I can do the math on this equation. Hopefully, the American people aren't left in the red.